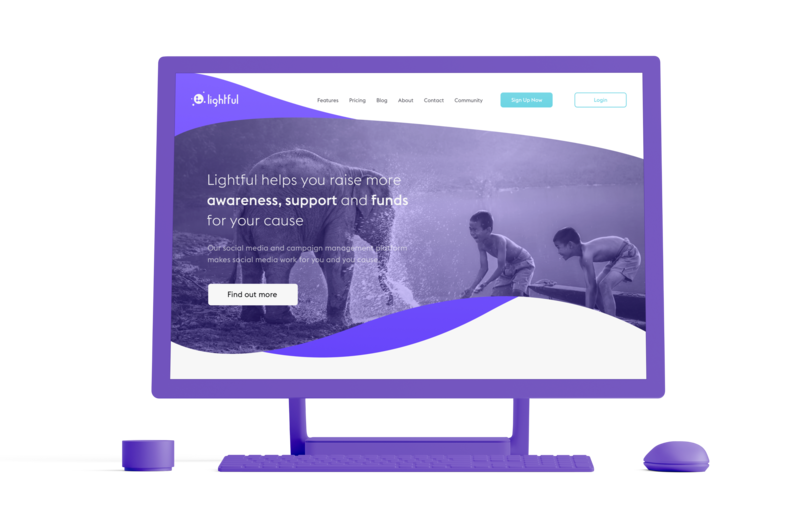 Lightful is an easy-to-use social media and campaign management platform that raises more awareness, support & funds for charities and beyond-profit organisations. 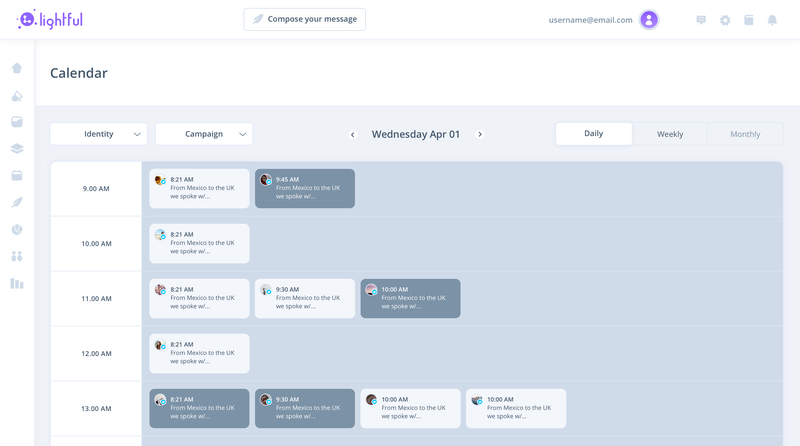 The whole team (staff, volunteers and even trustees) can effortlessly manage all the content, campaigns and relationships from just one place. This allows for overseeing what gets published and when. Plan and schedule posts in advance to Facebook, Twitter and LinkedIn. 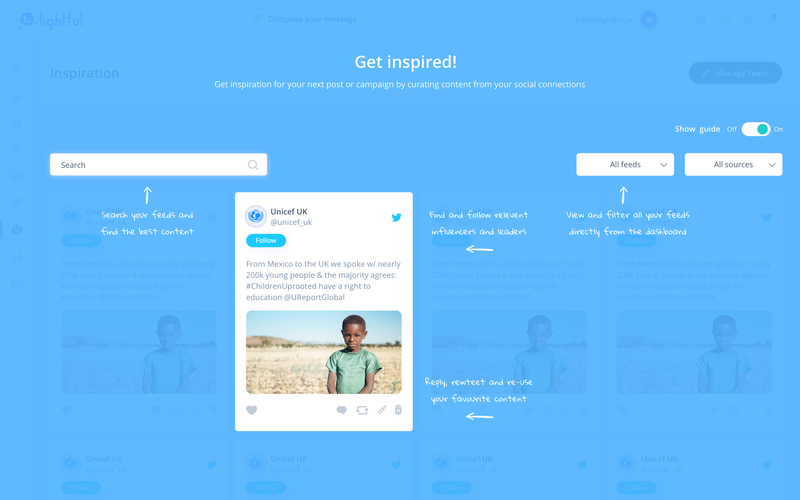 The platform gives tips to make sure social media posts are working as hard as possible, for maximum effect. 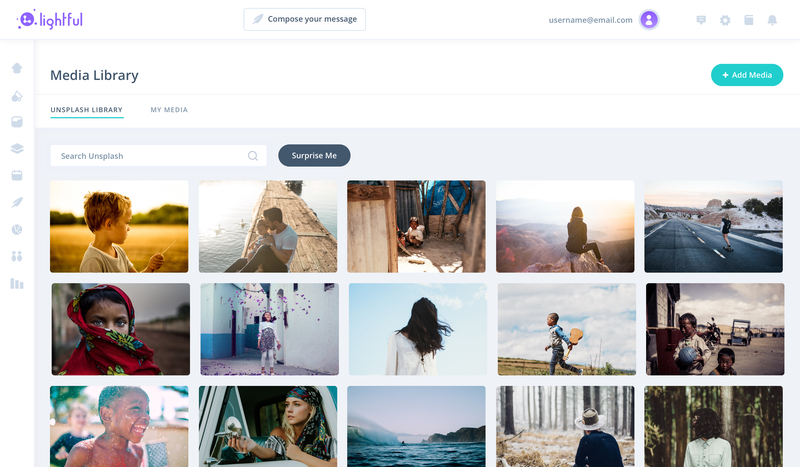 In addition to all of the free photos at your disposal, you can use the Media Library to store all files in a single place. 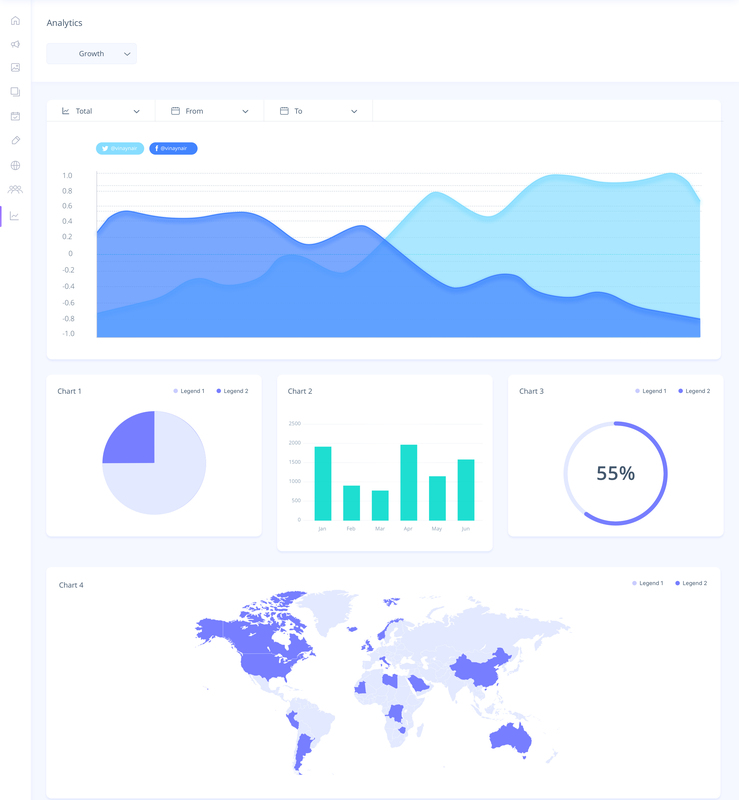 Lightful's platform helps with analytics too. 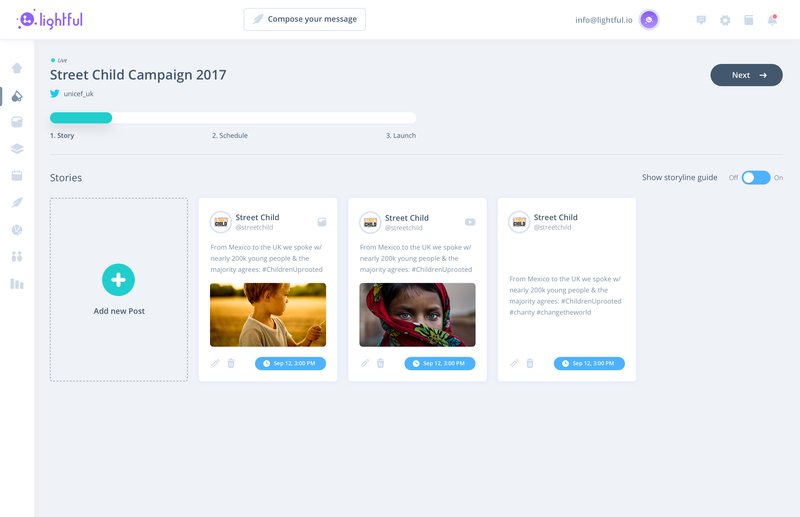 It’ll break down the performance at post and campaign level, as well as by social profile. Working in Lightful’s product team has been a huge contributor to my product design education. I have learned new processes and refined my overall comprehension of product design for the digital medium.